Thyroid Cancer is a medical condition, in which 1 of 4 major forms of malignancy of the thyroid: medullary, papillary, aplastic, and follicular, occurs. Thyroid cancer is most likely to occur in individual who have been treated with radiation of the head, chest, or neck, most frequently for benign condition. 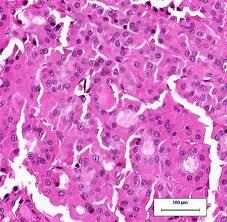 Thyroid cancer usually results in nodules (small growths) within the person’s thyroid. 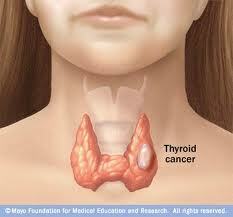 Most thyroid small growths (nodules) are not cancerous, and thyroid cancer may generally be cured. The thyroid is most likely cancerous if 1 small nodule is found. It may also be cancerous if the nodule is hard or if the scan of the thyroid shows the nodule does not function, or is growing too fast, or is solid. Thyroid cancer frequently has limited abilities to take up iodine and create thyroid hormone; but very seldom , it produces enough hormone to result in hyperthyroidism. 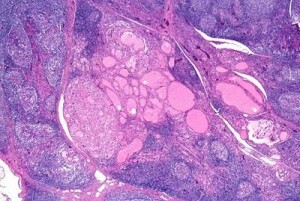 Small growths (nodules) are more likely to be cancerous if only 1 nodule is discovered, rather than few. A painless neck lump is generally the first thyroid cancer sign. 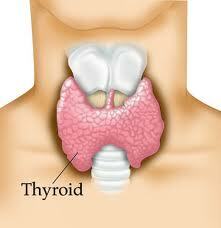 When a doctor discovers a nodules in the thyroid gland, he or she orders few tests. A thyroid scan reveals whether the small growth (nodule) is functioning, since non functioning nodules (small growths) are most likely to be cancerous than a functioning nodule. Additionally, an ultrasound scan may show whether the nodule is cystic (filled with fluid) or solid. Biopsy from the nodule is taken and tested under the microscope, and it is the best way to confirm if thyroid cancer is present.